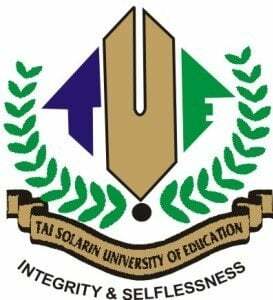 Tai Solarin University of Education, TASUED important notice to 200 level undergraduates as regards their GNS 221 Continuous Assessment for first semester, 2014/2015 academic session. Any student who misses this test is deemed to have missed the C.A. for the course. ELIGIBILITY: Students must have fully paid and registered for the course for 2014/2015 Session.